Super Numero 34 Oro Need Help? The Super Numero 34 oro eyeglass adapts the classic aviator design, with carefully moulded lenses, a sharp nose bridge, and comfortable acetate temples. 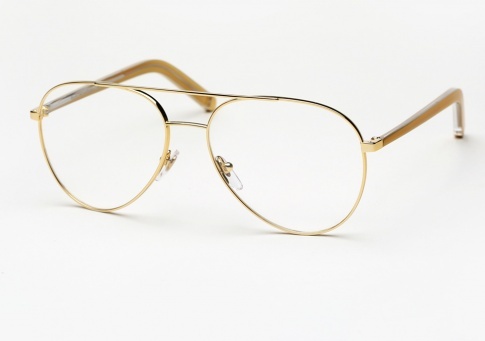 This model is offered here in a gold metal galvanic paired with gold acetate temples.